SERVPRO equipment used to dry-out a structure. Has your home or business been damaged by water? Who do you call? What do they do? SERVPRO of West Akron is a preferred restoration vendor in Ohio that has the credentials, knowledge, and team to help restore your home after a flood, pipe-break, sump pump or sewage back up, appliance malfunction and more. A quick response is key to preventing further secondary damage. Our crews inspect the areas where the water has intruded to identify the extent to which water has traveled throughout the structure. We will walk the property with the homeowner and discuss the process that we will use to dry out the structure. The information gathered in this initial inspection will also be documented and then used to plan the needed emergency procedures. The crews will begin the mitigation process, the first step is to fix the problem of the water loss before drying out the structure. A plumber may need to be called to fix the sump pump or pipe-break. After the problem has been fixed and water is still standing the crews will extract any remaining water. This is important to control the moisture and contamination. The next step is to quickly return to a dry condition, the less damage. We believe the importance of restoring a structure and its belongings than replacing them. This saves money for the homeowner and insurance company. Placing dehumidifiers and air-mover equipment will remove the moisture through evaporation and dehumidification. After the crews have tested the structure with moisture meters to confirm that the structure and its contents are now dry than the drying services are done. The repairs of any drywall, flooring, cabinets, etc. will be completed and final cleaning will be done. The property will be back to its preloss condition. SERVPRO of West Akron is available 24 hours a day at 330-867-5723. If you experience a water disaster and you need a professional water restoration company that has the knowledge and experience to clean up and restore your home or business, then you need to call the crews at SERVPRO of West Akron. The water damage clean-up crews of SERVPRO of West Akron service residential homes and commercial businesses in the Akron, Ohio area including Stow, Tallmadge, Cuyahoga Falls, Fairlawn, Munroe Falls and surrounding the communities. Our crews have dealt with many different damages from water to homes and businesses. Whether it be from heavy storms that flood buildings or back up sump pumps to pipe breaks, leaky roofs or a toilet overflows, we can clean and dry up the water to restore your structure to preloss condition. The knowledge of our crews can determine the category of water loss. Each category has a classification that determines the level of risk and differential of cleaning. Category 1 The water comes from a sanitary source such as water lines, faucets, toilet tanks, drinking fountains, etc. Although the water is clean and has no substantial risk from dermal, ingestion, or inhalation exposure. It may not always remain clean after it comes into contact with other surfaces or materials. Also, if it isn’t cleaned up quickly, it can degrade into a category 2 leading to health issues and increasing loss to the structure. Category 2 This water contains significant contamination and has the potential to cause discomfort or sickness if contacted or consumed. This water is from dishwashers, washing machines, toilet overflow with urine, but not feces, and other sources where the water has been “used”. It may contain potentially unsafe levels of microorganisms or nutrients for microorganisms, as well as other organic or inorganic matter (chemical or biological). Category 3 The water contains dangerously unsanitary containments. It could cause serious illness or even death if ingested. It is usually from a sewer backup, flooding from rivers or streams. Toilet overflow with feces and stagnant water that has become a habitat for bacterial growth. It is always important to call water damage professionals to help clean up and restore your home. Call the SERVPRO of West Akron crews at 330-867-5723. We are available 24 hours a day, 7 days a week, even on holidays! Our crew is here to help you! We appreciate all of our wonderful reviews from our awesome customers! We had a pipe burst and a flood in our house. It was the start of a very busy weekend of water damage in our area and SERVPRO W. Akron came to our rescue quickly! They mitigated our water issue within 3 days and we were so thankful we didn’t have to wait. The guys who did the work were polite and efficient. Everyone we talked to was friendly and made sure our needs were met. Thank you, SERVPRO for helping to dry out our house so quickly. We are grateful! The team that came to my house to clean up my sewer backup was professional and quick with their work. They took care of and found things I didn't even know were affected. Thank you for taking great care of us and for your prompt service! If you have a water, fire, mold damage to your home or business, please call the professional and knowlegeable team at SERVPRO of West Akron at 330-867-5723! 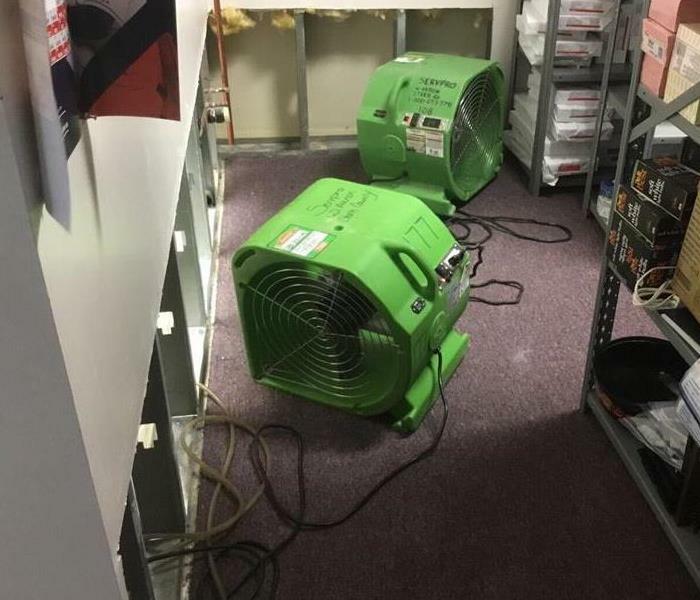 SERVPRO equipment was placed in a storage room in an Akron building after a pipe break. You probably would think that a fire or a strong wind storm would do more damage to your commercial property, but in fact Water damage is one of the most serious threats any real property will ever face. Water damage may appear less serious than it is, but it's crucial that a property owner recognize any water damage that has happened and to call a professional mitigation restoration company immediately. A gallon of water, pipe break or flooding has the potential to cause serious and lasting water damage. It is important to begin the mitigation and restoration process quickly, so the water doesn’t seep into drywall, flooring and other structural components. When this occurs and the property isn’t properly dried then it can cause mold and rot, eventually causing structural compromise. If the restoration and mitigation efforts are not started within one week of a pipe break or major flooding the damaged property will often become uninhabitable. Getting a restoration company in the first 24 hours after the water damage will successfully restore your property. SERVPRO of West Akron has the knowledge, training and equipment to assess the damage and to successfully mitigate and restore the building. If the water damage is addressed quickly then the building will be completely remediated, saving the property and restoring it to its preloss condition. After a property owner had discovered the water damage and SERVPRO has been called our estimator will enter the property to find the source of the water loss. Once it has been discovered and fixed the crews will assess the level of water damage using sophisticated equipment, such as hygrometers and infrared detection devices, the crews will determine if the water has seeped into places not seen with the naked eye. After determining the areas that have water damage the crews will extract any standing water. After all standing water is removed the drying process begins by placing dehumidifiers and industrial drying fans. The last phase is the final cleanup. This involves disinfecting and thoroughly cleaning all surfaces and furniture. At this point, the property will be completely restored. Visit www.SERVPROwestakron or call our office at 330-823-4088 for more information on water damage. Fire damage to a home in Akron, Ohio. The family got out safe. There are plenty of home fire safety tips to be prepared before there is every any danger of a fire. Of course, it is important to have smoke detectors, throwing away frayed electrical cords, not smoking in bed, or leaving candles unattended, but there is also something else that is very important that people are forgetting to do daily and that is closing your bedroom doors while you sleep. After a fire has started and the smoke has filled the house having your bedroom door closed at night can give you more time to escape and keep you safe longer while you wait for the fire department. Families belongings, layouts of homes and the materials used in construction is more flammable now. In the 1980’s families had about 17 minutes to escape from their home before it was up in flames and today families only have about 3 minutes to get out the door. Every second counts, so closing bedroom doors will give that added time that may make the difference between life and death. If you have any fire damage to your home, call the professionals at SERVPRO of West Akron at 330-867-5723 to restore your home. Pipes are breaking in Northeast, Ohio after the Polar Vortex has come and gone. The warm weather is now thawing out the frozen pipes. Homeowners are waking up to find water spraying all over because their plumbing fittings have popped and pipes have burst. Homeowners in the Akron, Ohio count on running water in their home for eating, drinking, cleaning, washing dishes and clothes, but when those pipes freeze all of that is in danger and the cost of repairs and mitigation will be very expensive. Make sure your furnace has been inspected before the winter season. If your furnace breaks down and your home isn’t heated your pipes could freeze and possibly burst. Insurance companies may not cover your water loss claim if your heat isn’t on. When we have extreme cold in the area it is important to have a light steady stream of water flow from your faucets than just a trickle. Open up cabinet doors that have pipes located next to exterior walls. Get heat into drafty crawl spaces if you have pipes located in or near them. Keep thermostat above 62 degrees. If your pipes do freeze, shut off your main water supply valve, that way, if a pipe burst you won’t have major flooding. Call a plumber to thaw out any frozen pipes. If your water line does freeze, it could expand and split the pipe and water damage will occur. Call SERVPRO of West Akron to help mitigate and clean up your water damage at 330-867-5723. Our crews are extracting water from a pipe break in a home in Akron, Ohio. When the temperature begins to drop it becomes more common for homeowners to find themselves at the hands of a burst pipe. A burst pipe occurs when the water temperature drops and freezes over. The ice leads to a build up of pressure which causes the pipe to burst. When a pipe bursts the water can flood your home while causing damage to your walls and flooring. Fortunately, there are many ways for homeowners and maintenance professions to prevent pipe bursts. When preventing pipe bursts it is important to take care of both the inside and outside of your house. In regards to inside it is key to remember to have sufficient insulation in order to protect pipes in unheated areas: attics, garages, and crawl spaces. Once the temperature drops open cabinets throughout your house such as in the kitchen or bathrooms to allow more heat circulation in areas pipes are likely to burst. The outside of your house can be taken care of by caulking to seal pipes to ensure no leaks. Insulate and cover all exterior water accesses that can not be turned off such as faucets and hoses. If you travel in the winter or leave your home for a long period of time it is dire to take extra steps to prevent burst pipes. Before you leave lower the thermostat, do not turn it off. A safe temperature can be set at 55 degrees or higher. Letting your faucets drip at a slow rate can keep water running which lowers the chance of your pipes freezing. SERVPRO of West Akron is Here to Help! This sump pump overflowed in this basement in Akron, Ohio. As 2018 fades away and the new year comes so does the cold weather. SERVPRO of West Akron hopes your new year is filled with good times, but is ready to help when the cold weather may turn the good times bad. SERVPRO of West Akron is here to make it like the bad times never even happened so you can get back to enjoying your new year. If you face fire and water disasters to your residential property or commercial buildings we will make it our priority to restore your property. SERVPRO understands your family’s furniture, clothing, keepsakes, and other belongings are what helps you make your house a home. We want to help you maintain your home even when the damage is extreme. Call 330-867-5723 for the crew that is faster to any size disaster. 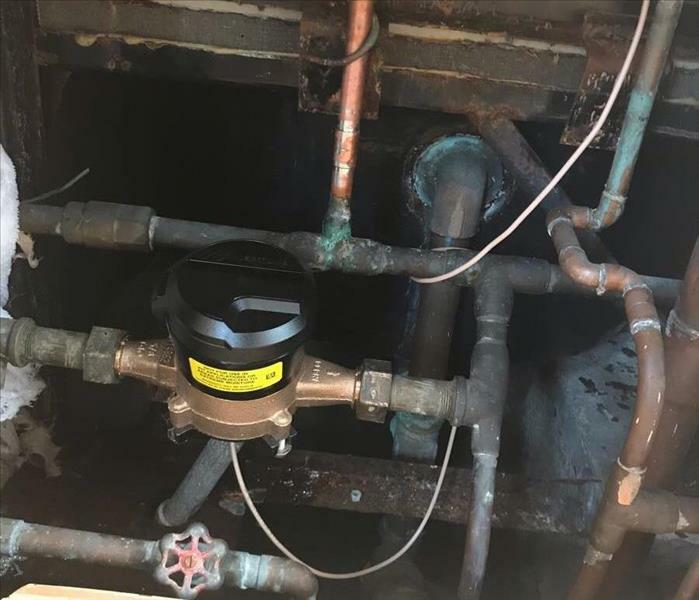 SERVPRO is a leader in giving control back to homeowners and property managers after the devastating effects from a pipe break, sump pump malfunction, toilet overflow, flooded basement, refrigerator or washing machine line break, flood or fire. If located in Akron, Fairlawn, Stow, Tallmadge, Cuyahoga Falls, and Munroe Falls SERVPRO of West Akron is the franchise to contact. Flooding to a building in Akron, Ohio. Flooding occurs in the Northeast Ohio area and it ranks as one of the most common and widespread natural disasters in the United States. On average, floods cost $6 billion in annual losses in the US. Not only does excessive rain contribute to flooding in commercial buildings, but flooding can also result from plumbing failures, frozen pipes and damaged structures. 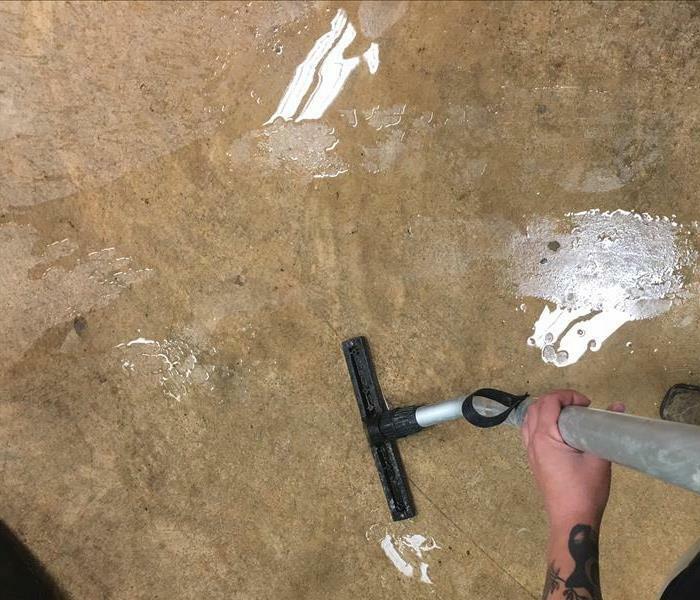 SERVPRO of West Akron has been on many water losses where floods have been an isolated incident to one room to entire floors being fully submerged. Being prepared to deal with potential flooding in advance can affect how much of your property can be restored and how much needs to be replaced. Assess how your business functions, both internally and externally, to determine which staff, materials, procedures and equipment are needed to keep the business operating. Plan what you will do if your building is not accessible. This type of planning is often referred to as a continuity of operations plan or COOP and includes all facets of your business. Visit ready.gov/america/local/index.html for a comprehensive plan and to learn about emergency plans for your state. Call SERVPRO of West Akron at 330-867-5723 to get your Emergency Ready Profile. This home was severely damaged by a fire in Akron, Ohio. The homeowners called the team of SERVPRO of West Akron to restore their belongings. When a person needs to be sure that they can keep their home in great condition after an emergency, it pays to do business with a number of contractors who can provide their assistance. Fire damage and water damage from fire are two of the most devastating types of damage that a home can encounter. If anyone is dealing with fire or water damage from fire, it pays to touch base with a fire cleanup company in your local area of Akron, Ohio who can provide help. Consider these tips to make the most out of this situation. What are the benefits of hiring a professional company for help? Anyone dealing with smoke damage or soot damage needs a fire cleanup company to mitigate the work. The reason for this is that soot damage and smoke damage are incredibly debilitating and can cause extensive damage that is hard to deal with. By getting in touch with contractors who can handle the work, homeowners will get the best air quality possible in order to remain healthy and safe inside. What tips are important when hiring a fire cleanup company in the Akron area? Anyone in Summit County can benefit in getting in touch with companies that can improve air quality and get rid of damage. This pays dividends as it pertains to keeping the home in the highest condition possible. 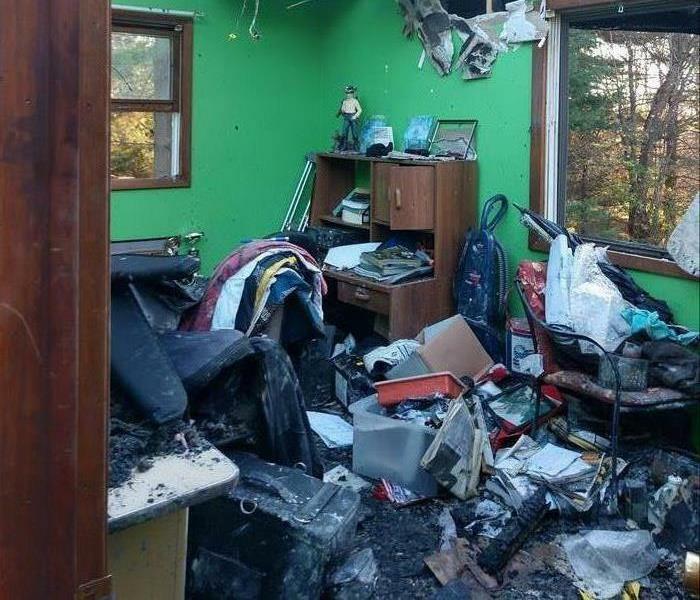 Fire and smoke can create extraordinary damage, which can be expensive and troubling. By having the help of contractors in the area, people will be able to make the most out of their household and prevent an emergency from becoming any worse. Instead, they will be able to tidy their home up and prevent serious damage that will last a long time. How can a person hire one of these companies? A person who wants to get all that they need out of the restoration process will want to do business with the best company in the area who can provide assistance. In order to make this happen, it pays to start with the Better Business Bureau and local and state listings throughout Ohio. This will point out the highest quality companies in the area and will allow people to get all that they need in terms of matching up with the best. People should also reach out to these companies in order to compare cost estimates and to be sure that they are doing business with mitigation experts who will wipe out any damages that result from smoke, fire and soot. 1/15/2019 - SERVPRO of West Akron is Here to Help!